Set in turn-of-the-century Florida, this frontier saga traces the life of Ivy Cromartie Stranahan, the first English-speaking teacher in the region, as she struggles to teach school in the Seminole Nation and lead Indian families to Christ. Ivy is disliked by tribal leaders in spite of her obvious love for their children, yet she eventually overcomes their resistance and serves as their spokesman in negotiations with the U S government. Already scarred by her mother's tragic death in childbirth, Ivy overcomes her husband's suicide and other devastating disappointments to share her faith with her adopted people and eventually earn their love. In 1900, Ivy Cromartie Stranahan gives up a promising teaching career to join her husband at the remote New River trading post in south Florida - but she doesn't give up her love for learning or her passion for righting wrongs. In this remarkable story of God's faithfulness and one woman's commitment, Ivy becomes a friend to the Seminole people, their teacher of forbidden English and the Christian faith, and finally, their spokesperson in a time of turmoil. Like all of us who search for meaning, Ivy yearns to experience the power of faith, understand the limitation of human protection, and learn the importance of perseverance in caring for those we love. 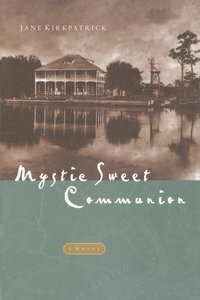 She finds them in Mystic Sweet Communion.